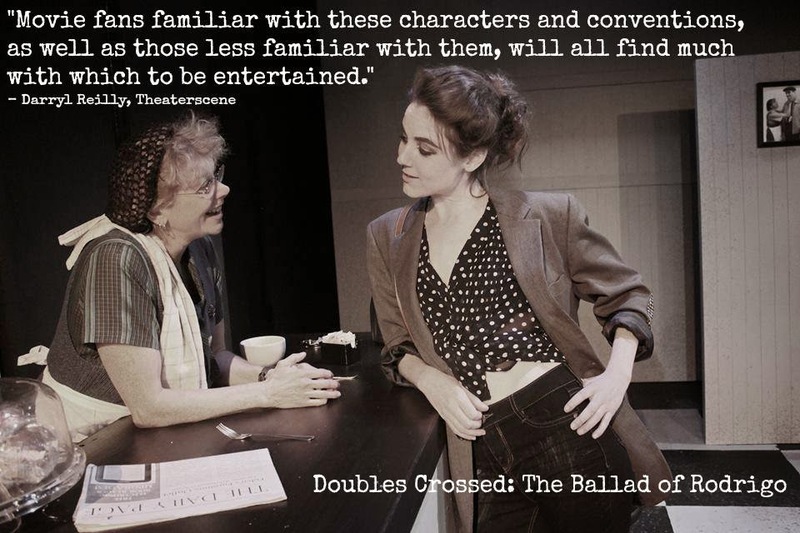 Cindy is past the half-way mark in the run of Doubles Crossed: The Ballad of Rodrigo, and she has gotten some very favorable mentions from reviewers. More importantly, she's having a wonderful time. Here are a two shots the production company made up with a sampling of the reviewer quotes. I apologize if you've already seen these on Facebook; I'm really proud of Cindy. Since I've done a lot of talking about the Paleo Diet on this blog, I feel I should mention that Cindy has lost 5-10 pounds since the top photo was taken. Her costume makes her look a bit thick in the middle, when in reality, she isn't. She's still watching her calorie intake, focusing on losing weight, and making constant progress. I think I'm down about 7 pounds from when we started eating Paleo a few months ago; my weight has been dropping very slowly, but I'm eating whenever I want and as much as I want, so I'm happy. And so is our Keiter. If you'd like to catch Cindy's show before it's done (final performance on June 22nd), you can click on the link at the top of this post to buy tickets. Woo hoo!